Monthly contact lenses designed for reliable, superior comfort. New ACUVUE® VITA® delivers on weeks 1, 2, 3 and 4 by maximising and maintaining hydration throughout the lens. 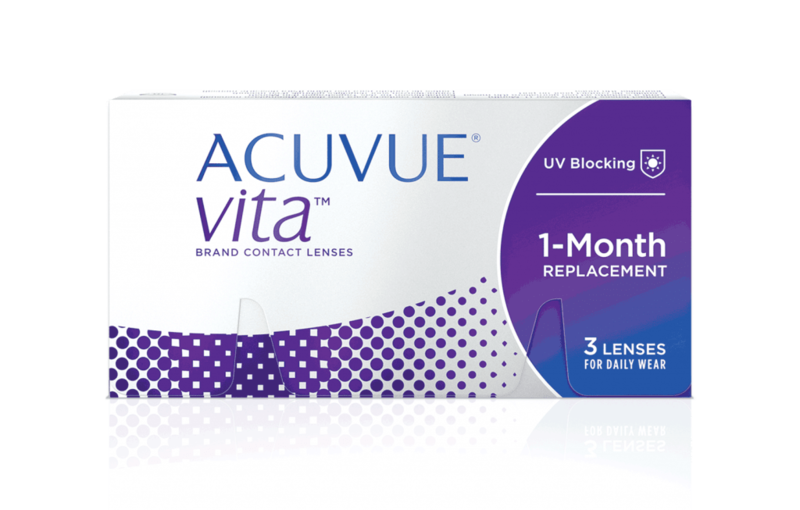 ACUVUE® VITA® lenses are available in 3 lenses per box.